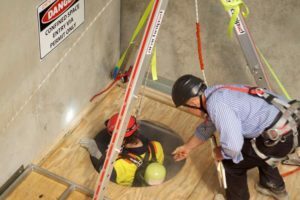 Confined Space Entry Course is designed keeping in mind that work in confined spaces can kill or cause injuries in any industries, ranging from those involving complex plant through to simple storage. Those victims include not only people working in the confined space but also those who try to rescue them without proper training and equipment. Any worker who may potentially need to work in a confined space. They can be Shipyard workers, Petrochemical Industry workers, NDT technicians, Merchant Shipboard personnel, Municipal Sewer Workers and so on. Course covers Theory and Practical aspects of Confined Space Entry and Rescue. Practical confined space entry/rescue (horizontal and vertical). 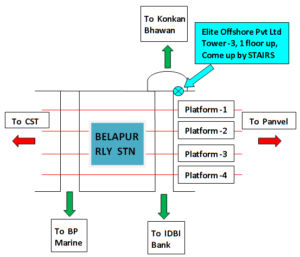 Inspection, donning, doffing, and use of Self Contained Breathing Apparatus (SCBA) or Supplied Air System (SAS) in normal operation and in emergency rescue conditions.